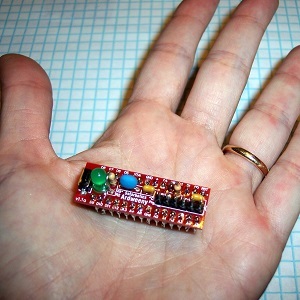 Most motor control applications can be accomplished with a simple single-transistor circuit. This type of circuit controls the basic operation of turning the motor on and off, and allows very fast switching of the motor, which makes it possible to control the speed of the motor using pulse width modulation (PWM). 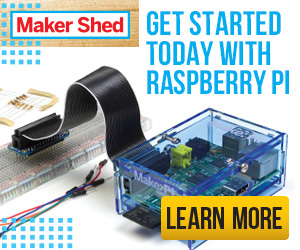 The basic problem with this circuit is that the direction of the motor cannot be reversed. 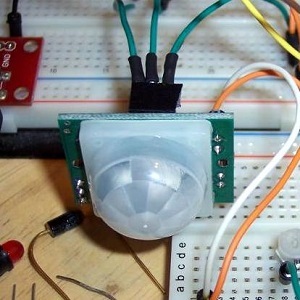 For our simple application in this RGB LED night light, spinning the motor in one direction is enough. In the future we will use motors in applications which require us to reverse the direction as well, and for that we will be using the type of motor control circuit called H-bridge circuit. 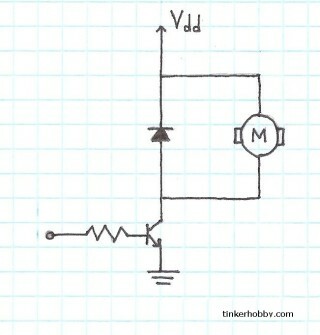 Note that a diode has been used in this circuit. The core of all types of motors is the inductor (or coil). When the amount of current (which can be moderate to high) passing through the inductor is changed, it produces large voltage spikes (“kickback” ) . The diode used in motor control circuits is called a kickback diode and its purpose is to absorb the voltage that is produced when the transistor is turned on and off. 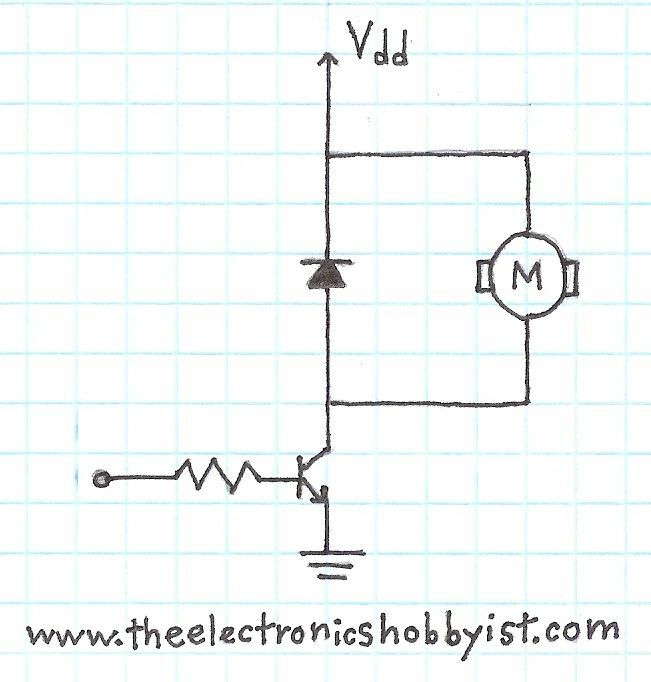 When you are developing motor control applications using a bipolar transistor you should always put in the kickback diode in order to protect the other parts of your circuit. Here’s the sketch for the spinning night light. GuruSantiago really likes this circuit. Some additional info. 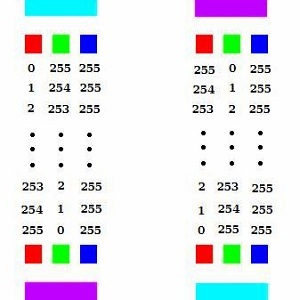 The “Kickback” is also referred to a back EMF (electo-motive force), it is the opposite polarity of the signal applied. 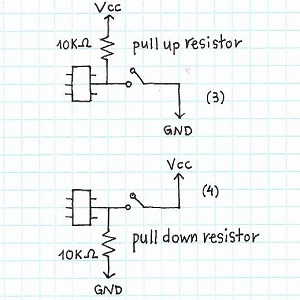 Hence, the diode should always be connected so that it is reversed biased.